Disney Girls. Disney Girls. HD Wallpaper and background images in the Disney Extended Princess club tagged: kida marian eilonwy blue fairy alice megara jane tinkerbell pocahontas esmeralda. 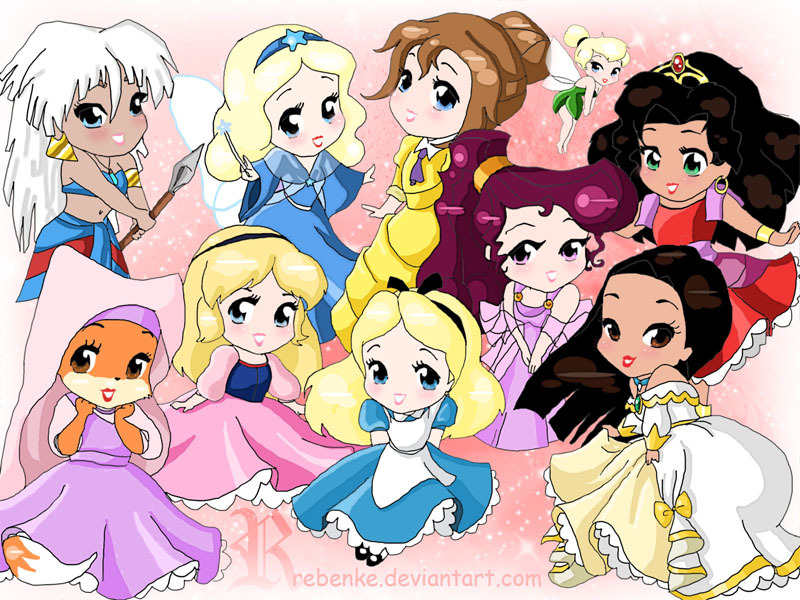 This Disney Extended Princess fan art contains anime, comic, manga, cartoon, comic buch, karikatur, and comics.